No it’s not a Photoshop job, that really is Pro Tools on an iPad and even better it’s using the power of the Mac to run, let us explain. Duet Display is a new Mac application for OS X and iOS that tethers your iOS compatible device to your Mac and making it a secondary monitor, but rather than being connected by laggy WIFI it uses the cable and some clever software. Developed by an ex-Apple engineer the new Duet Display app gives you an instant second monitor, even better it allows you to use touch on the iOS device to control whatever application is on screen. 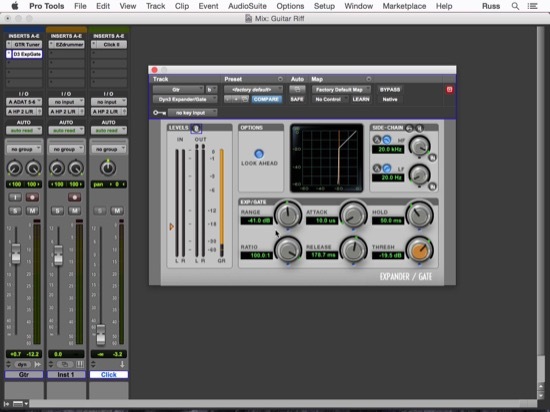 We’ve tested it with Pro Tools and it offers menu functions, faders, mutes, solos and more. It does not allow pinch pull editing, but many common features such as control over plug-ins, MIDI and timeline editing and work. As an instant second monitor with touch control for Pro Tools, it’s a handy little app to have. It even charges your iPad as you use it. At £6.99 Duet Display is going to be a very popular app - all we need now is Apple to make a large iPad. At the moment it is Mac only but rumours suggest a Windows version is coming.